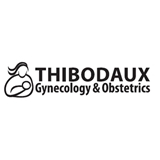 Thibodaux Gynecology and Obstetrics (Thibodaux) - Book Appointment Online! Thanks for considering Thibodaux Gyn/Ob for all your women’s obstetrical and gynecological health care needs. We are located right here in Thibodaux, LA. At Thibodaux Gyn/Ob , we provide comprehensive gynecological and obstetrical (Gyn/Ob) health care to women of all ages. Our physicians and certified nurses are dedicated to working with each of our patients to develop an individually tailored plan for obstetrical and gynecological health and wellness, from reproductive health and contraception to perimenopausal issues. Feel free to come by and see us to set up an appointment for your healthcare needs or simply to say hello and get acquainted with our location, services and bilingual staff!